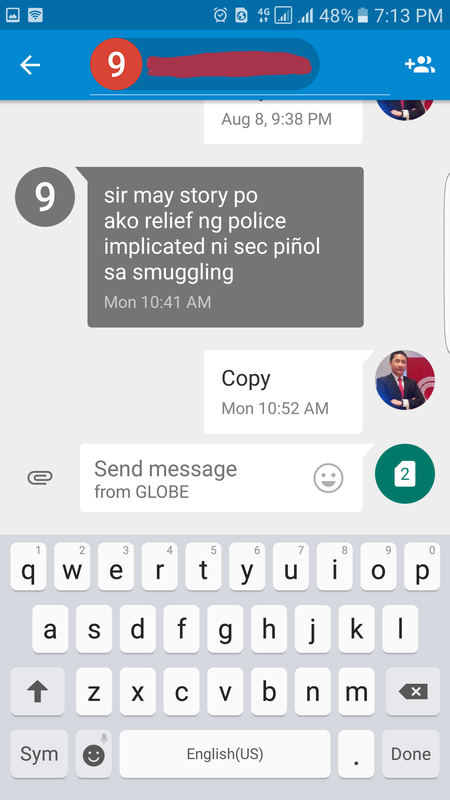 Facebook, Google SMS Messengers Good But Not Better | iStoryang HaaayTek! 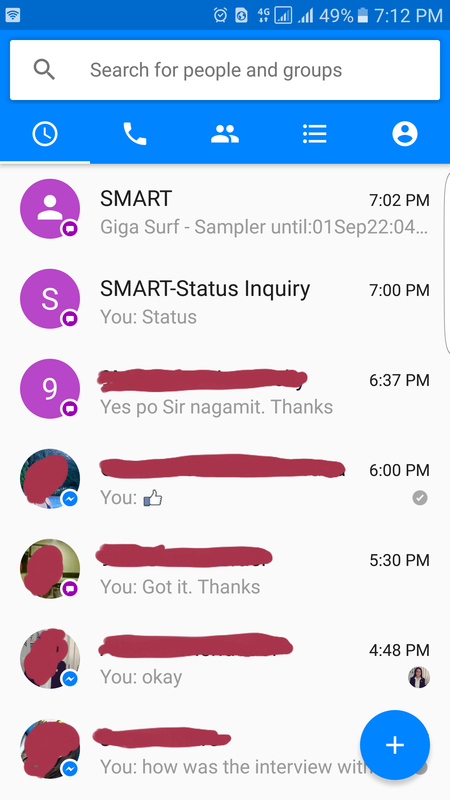 I have been satisfied with the stock SMS Messenger App of my Samsung S7 Edge.However, i love experimenting in search for the best app. Lately, i tried the Messenger Apps of Facebook and Google. 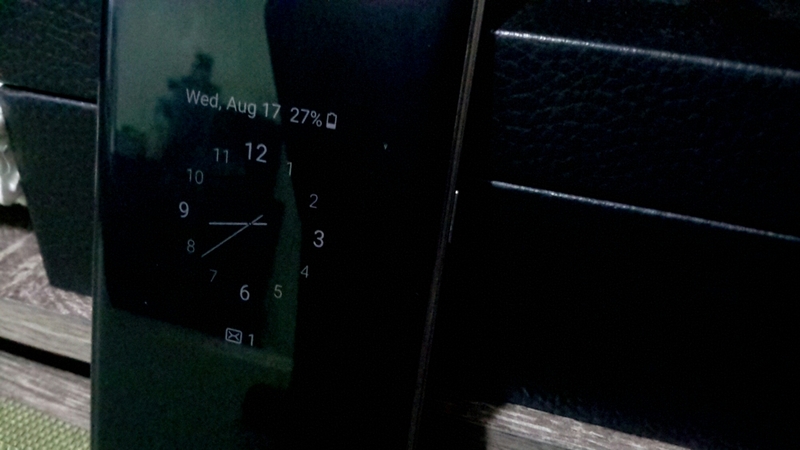 Both have just accomodated SMS on its individual platform. But i’m telling you it didn’t last a day for me using either app. FB Messenger combines in one screen both SMS and FB chat messages. 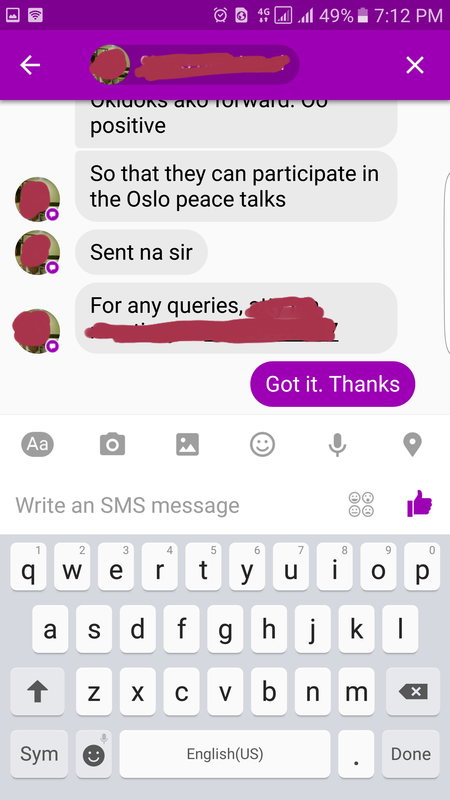 As shown below, SMS messages are in purple while FB chat messages are in blue with the FB Messenger logo. 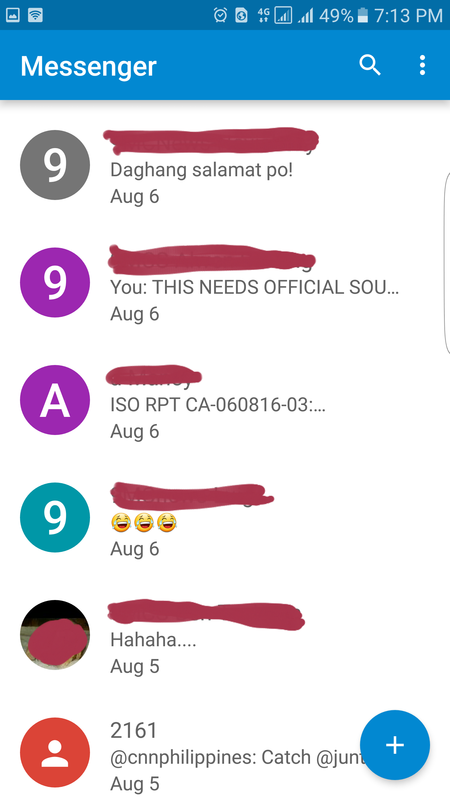 While the Google Messenger displays like GMAIL app where the first letters of the contacts are displayed as shown below. Both FB and Google Messengers can send your “location” via SMS which is not found in the Samsung Messenger. 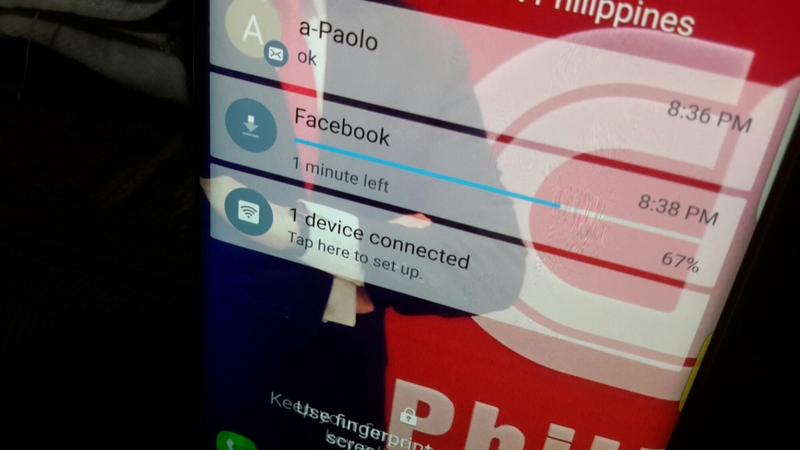 But both apps can’t notify you of SMS received while on lock screen unlike the Samsung Messenger App below. …and while on “always on” sleep mode. 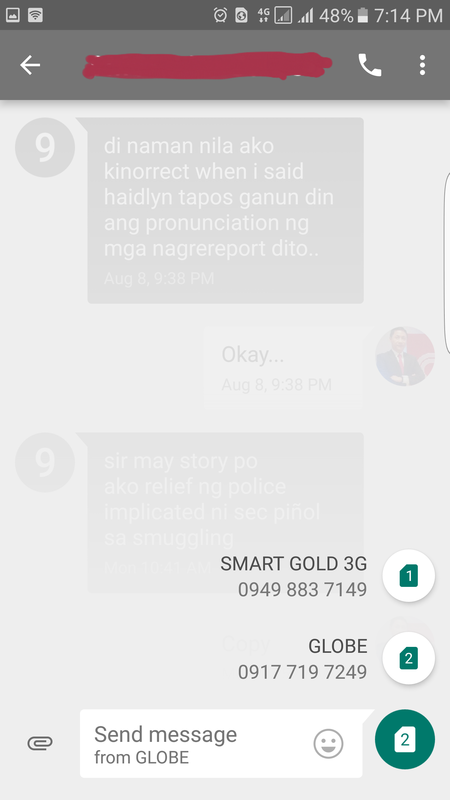 You can’t also reply on preview of the incoming message although FB Messenger allows SMS on Chat Heads and open the SMS without closing the current screen. Whatever number you input on the FB Messenger setting would become the default SMS number while using the app. 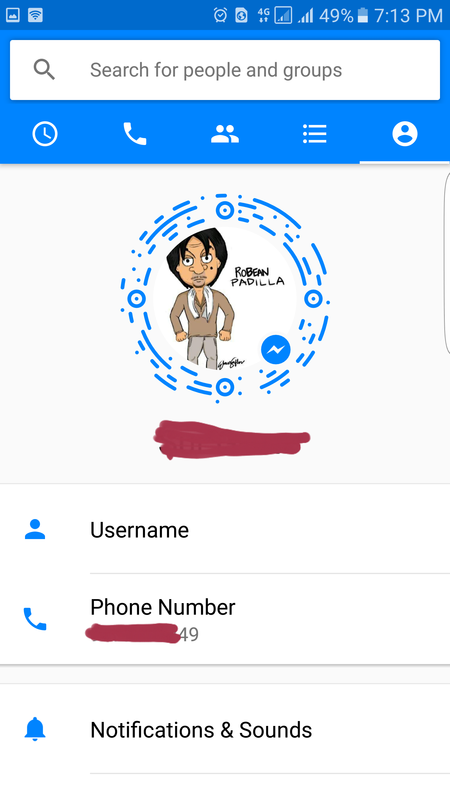 For now, i’m not totally abandoning both FB Messenger and Google Messenger for SMS. I’m giving it another shot in the future once updates and modifications are made by its creators.